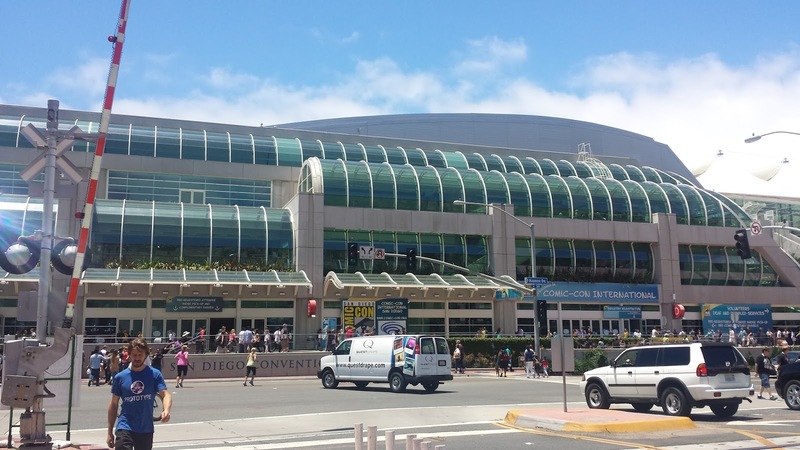 Now that San Diego Comic-Con is over, what's getting the loudest buzz? Here's what I'm hearing about - not just from attendees but from people at home. These may not be the "best" of what was served up at Comic-Con, but they are definitely getting talked about and burrowing their way inside the collective fandom psyche. The Killing Joke will be an animated feature. Dark Horse is bringing back Lady Killer. Joss Whedon is creating a female Victorian Batman in Twist. Multiversity is getting more books. Fight Club will be a rock opera. The journey to Mars is survivable and will have its own drinking water for us when we arrive. Legend of Korra comic is coming. Milestone is coming back to the DC Universe. Her Universe is getting a reality show. Raina Telgemeir is releasing an original graphic novel called Ghosts. Lena Headey and John Oliver are part of the Danger Mouse cast. Ben Affleck's Batman will have his own movie. Grant Morrison and Stan Lee's Humble Bundle project will help underprivileged girls in India. Vertigo is releasing The Twilight Children, teaming up Darwyn Cookie and Gilbert Hernandez, and New Romancer. The Vikings drinking horn that could be refilled with discounted beer at Gaslamp bars. JJ Abrams passing out donuts to the Hall H line. The actual lack of lines for many panels and badge pick-ups. The accelerating fandom for Steven Universe. The Lumberjanes winning an Eisner. Gwen Christie getting her due. John Lewis cosplaying as himself during the 1965 Selma march. On the whole, there weren't many upsets at Comic-Con. While no one could have predicted the Star Wars concert (which like a burning bright star blotted out the buzz of every panel around it) we did expect Star Wars to be big, and Batman v Superman too. We probably didn't expect GOT panel and off-site to be a yawn. (Though we didn't care much that they were.) We were curious about The Martian and Fear The Walking Dead and Warcraft and Suicide Squad, and our curiosity was sated. (Sort of.) We got a lot of good comic book announcements. We found out Conan was coming back. In short, nothing really shook up our nerd world. 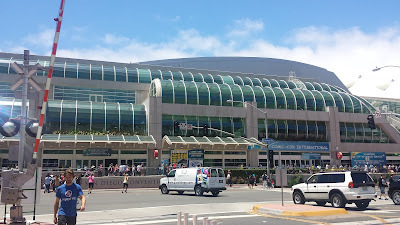 Comic-Con this year was like a massive gourmet pop culture feast at our favorite restaurant - it satisfied with a lot of favorite dishes and very few risks.